Finding the right therapist for your young child or teenager can be very anxiety provoking process. Here are some of the most frequent asked questions that parents have asked looking for help for their child. Please do not hesitate to contact me to discuss these or any other questions. What is Child and Adolescent Psychoanalytical Psychotherapy? Child and Adolescent Psychotherapists are trained to work with toddlers and their parents, children, young people up to age of 25 and families. Child psychotherapy training especially equips to observe a child/young person and respond to what the child might be communicating through their behaviour and play. Through developing a strong and consistent working relationship with the therapist, the child/young person may be able to express their disturbing, troubling feelings and thoughts. Over time with the therapist's help the child is capable of putting these feelings into words rather than behaviour. Therapy is most effective when a trusting relationship exists between the therapist and the child. Privacy is especially important in securing and maintaining that trust. Although one goal of treatment is to promote a stronger and better relationship between parents and young person, it is often necessary for the young person to develop a 'zone of privacy' whereby they feel free to discuss in depth their personal matters. Difference between psychoanalytical psychotherapy and other forms of therapy is that psychoanalytical psychotherapy is helping the person to look at causes that are behind symptoms. How to make initial appointment? What happen after telephone contact? After telephone contact I make an initial meeting - the Introductory Meeting with adults only. What might have brought them to ask for therapy for their child. What would be aim/s goal/s of therapy. What would they wish to get out of therapy for their child. ​ To arrange three individual assessment appointments with the child or young person and a further i Further appointment to feed back observation observations and opinions, and discuss next steps. It is very important for parents to get to know therapist and feel comfortable that they can trust therapist who will work with their child. It is absolutely essential that parents and the child feel that they can work together. Child/Young person therapeutic progress depends very much on how trustful relationship is between therapist, child and adults who keep the child in mind. What happen after introductory meeting? After an Introductory Meeting I usually have three assessment sessions with the child/young person. These sessions give child an opportunity to get to know therapist and assess if she/he feels comfortable to develop trustful therapeutic relationship with the therapist. That psychotherapy is the treatment of choice and is appropriate for the child. That a different approach is needed and I help to find and get access to it. ​After three assessment sessions we have a meeting with parents and the child and we plan further action. ​Intervention with children and/or parents may be short or long term, from few sessions to regular appointments over a year or more. How often are the session? ​Sessions are held weekly at the same time and place. How do we review therapeutic progress? ​After 12 sessions I offer parents and young person review session to think and discuss therapy progress and to discuss further plans. I explain issues relating to confidentiality to parents and their child/young person at our first meeting. Therapy is most effective when a trusting relationship exists between therapist and the client. Privacy is especially important in securing and maintaining that trust. One goal of treatment is to promote a stronger and better relationship between parents and young person. However, it is often necessary for the young person to develop a 'zone of privacy' whereby they feel free to discuss personal matters with greater freedom. 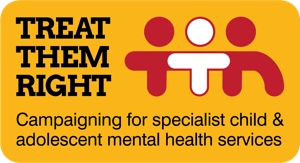 It is also my policy, if it is necessary to refer the young person to another mental health professional with more or different specialised skills. Before I do so I always first discuss this matter with the young person and then I share that information with the child and parents. I do not share with the parent what the young person/child has disclosed to me without the young person' consent. The only exception to this rule is where the child/young person might be at risk of being harmed, in which case firstly I would discuss with the child the best way forward and whether or not we need to involve third party . An initial consultation appointment last 60 minutes and it is an opportunity to think and discuss reason/s for coming to therapy, what client's hopes are and likely duration of therapy. After the consultation individual therapy appointments can be arranged. Sessions are conducted once a week, in some circumstances more often. All appointments are fixed in the diary. Therapy sessions are always on the same day and time and each therapy session lasts 50 minutes. If client is late session still finish on time and is charged full price. Clients are charged for missed or cancelled sessions if does not give 48 hours notice of canelletion. I do not charge for my holidays. Payment may be made by cheque, cash or BACs, as agreed with each client. ​Where payments are being made on your behalf by a third party, we will agree payment terms directly with them.